Falling Back In Love With "The Good Wife"
Hello, everyone! Amb here! I’m huge fans of Kaitlyn and Sarah’s and am thrilled to bits that they’ve invited me to fill in for Allie over the next four weeks. I’ve been reading the girls’ blog for a couple of months now, but I feel like I’ve known them for a lot longer than that. We understand each other on a deep, fundamental level, and recognize certain universal truths, like that playing Cranium can bring out your dark side and that there’s no such thing as having watched When Harry Met Sally too many times. 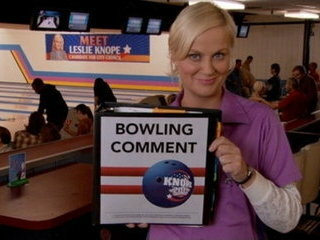 Plus, when we’ve had a bad day we all want to move to Pawnee, Indiana and put Leslie Knope in charge of our lives. Make binders for us Leslie!! Colour coded ones!!! As you might have guessed from the exclamation marks above, I tend to get a little, um, enthusiastic about television. On my home blog, Words Become Superfluous, I have a regular Thursday feature called “My Favourite Television Show You’ve Never Heard Of” - which is exactly what it sounds like. On any given week I might I swoon over, say, a Canadian actor staring in an obscure show that none of my friends are watching, for example. But this Thursday, I’m trying something a little different. As you may already know, it’s theme week here at The Duck and The Owl, and the girls asked me to incorporate the theme of “falling” into today’s post. Much as I love to polish my pop culture bona fides, I can’t claim to be in an exclusive relationship with shows that no one else seems to watch. I admit it: once in a while I’ll go on a date with network television programming. It doesn’t usually last, though. I might feel a spark during the first couple of episodes, but once we spend a little more time together, I usually find out that they’re not nearly as smart or interesting or funny as they seemed in their channel guide profile. Usually. But something different happened to me the other night, you guys. Something I wasn’t expecting. So today, on a very special Duck-and-Owl-ified version of my usual Thursday television post, I want to talk about falling back in love with The Good Wife. When it first came on the air, The Good Wife had me at hello. The storylines were as smart and complicated as the characters. It was a crime-procedural-love-story-legal-thriller-family-drama mashup, and I loved every minute we spent together. Then, after a whirlwind two seasons, things changed. Things that were once fresh now felt ridiculous. 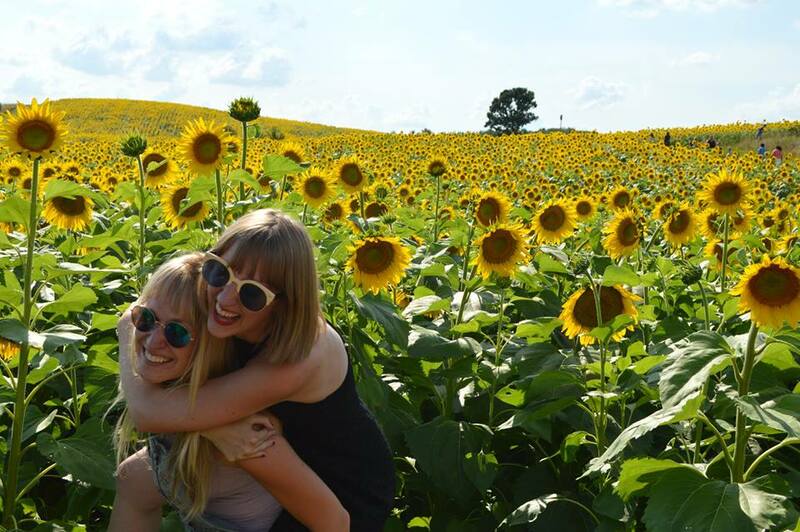 New people and old clichés came into our lives, and it just wasn’t the same anymore. Things became predictable. The magic was gone. Then came the premiere of Season Four, last Sunday. You guys, it was just like old times! From the suspense that was generated by the episode’s premise – a deadline to stop an execution on death row! – to the moments of humour – jokes about Broadway musicals! – to the amazing, layered performances from the entire cast – Everything. Was. Perfect. The hour flew by, and I’m already counting down the minutes until we can see each other again. I’m totally distracted and can’t stop smiling … yup, I’m definitely falling, all right. Thanks so much for making me feel so welcome on my first day, everyone! I had a wonderful time and can’t wait to see you all next week!